A number of letters have been flying between AC Group Ltd and Jali Holdings following an alleged failure to honor a contractual agreement by one party. Jali Holdings is accusing AC Group of failure to respect its obligations as stipulated in the contract between the two parties. The transport operator is claiming that AC Group has adamantly refused to share back end data collected by validators installed in buses to allow the operator to monitor its fleet in real time through out the day and also make transactional reconciliations. The operator is also agitated that AC Group does not provide total transaction reports, card performance reports, and daily bus route operations. Jali claims that they are supposed to liaise with AC Group to operate and maintain the back end system, but Jali Holdings says the supplier has only given them front-end access. The transporter says the supplier’s technology, according to the contract, should help to provide a car journey report, line journey report, car connection status, vehicle tracking, and zone journey report. “We don’t have all that,” says Jali Holdings’ CFO, Godfrey Nkusi. According to Nkusi, AC Group has not respected its contractual obligation even after several attempts to engage them to iron out their disagreements. “We have tried our best to engage them so that we resolve this matter, unfortunately the issue doesn’t seem to have any positive end in the interest of both parties,” he told Taarifa. Meanwhile, Nkusi added that AC Group has also failed to install electronic equipment in the buses as agreed. The gadgets, which were expected to be installed in the buses by 2017, include cameras and passenger sensors. Cameras were supposed to monitor and show activity in the bus, while sensors were supposed to count passengers. However, AC Group, the provider of Tap&Go transport solutions, says all the claims made by Jali Holdings are outrageous considering their recent positive engagements. In an email sent to Taarifa, AC Group said that there is instead a big confusion as these matters have been discussed as well as timelines. “We have not only served our clients well, but also held several meetings with them to resolve any misunderstanding,” the email said. An executive at AC Group who preferred to remain anonymous said that AC Group has already begun a process of installing the cameras and soon they will be up and running adding that as of now, some test cameras have been in some buses. Regarding data sharing, the executive said that Jali Holdings is pressing AC Group to share data they have access to. “There is a big lack of understanding, the front end is the part of the system access that is given to any client of a software and the back-end operated by the owner of the system which in this case is AC Group as it covers more than one client’s data,” he said. “All the reports they need are in there and we are always willing to retrain them on how to access this data,” he added. But AC Group insists that it is transparent and all the reports shared are factual. 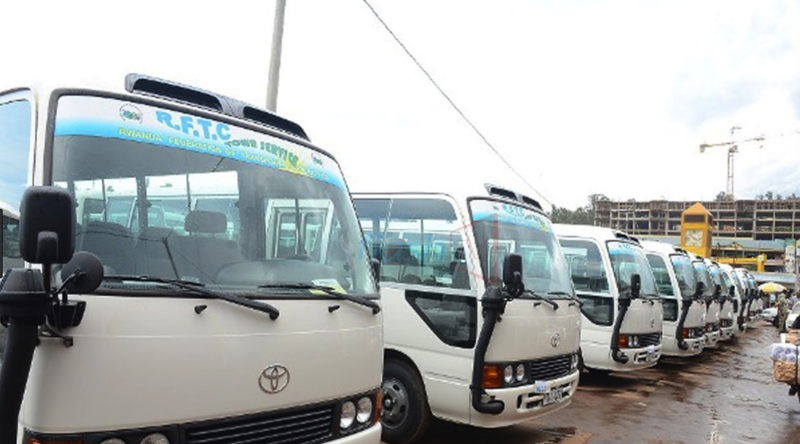 Prior to this feud, the Rwanda Utilies Regulatory Authority (RURA) had issued a directive obliging Jali Holdings to have all city bus routes operated under a cashless system, which happens to be Tap&Go. Jali Holdings declined, citing the row between them and AC Group and added that they could not follow the directive because they were making losses. Unless the regulator steps in to find an amicable solution, the rift will continue dragging on. Meanwhile, in a letter written to Jali Holdings, RURA says the operator must comply or face penalties. Yet, Jali Holdings is firm on its position, regardless.